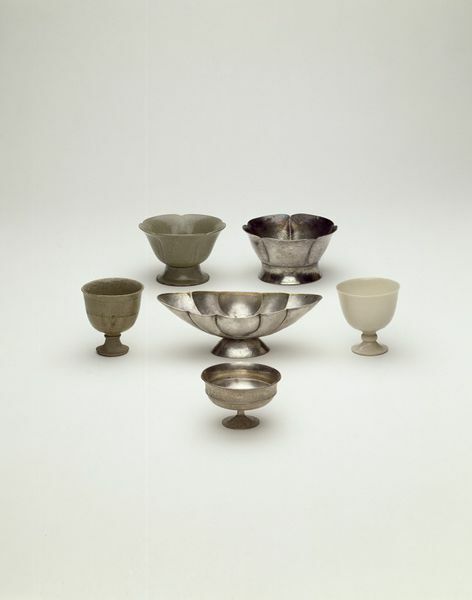 Silver objects were not as highly coveted in China as in other ancient civilisations such as the Roman or the Parthian, but they became important luxury items for emperors and high-ranking officials during the Tang dynasty (AD 618-960). By the beginning of the 7th century large quantities of silver pieces with exotic shapes and styles were imported along the Silk Road from Iran and Central Asia to China. 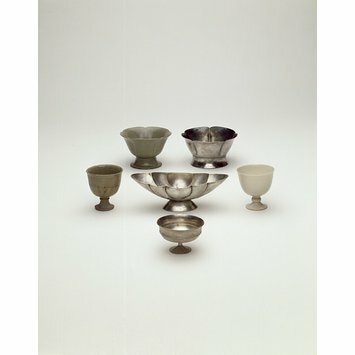 Chinese craftsmen often reproduced foreign shapes and acquired new manufacturing techniques from Central Asian silversmiths who had settled in Chinese urban centres beginning in the mid 7th century. The shape of this five-lobed bowl was probably influenced by Sasanian silver items and was also imitated in ceramic. Silver five-lobed bowl with a flat bottom and large spreading hollow foot.